If ever torn down, you’d want to keep the walls of North Dakota’s culinary hearthstone Peacock Alley American Grill & Bar. They hold stories and secrets of a different time — which many patrons will never know and reason for others to seek a table. When Dale Zimmerman and wife Melodie got the place in 2010, they had plans. The pair wanted the establishment and its dishes to stand on their own, rather than a legacy from long ago. Zimmerman couldn’t quite say what he was getting into at the time. The furnituresalesman-turned-entrepreneur and now minimogul seemed to be barely testing the waters. The thing about Zimmerman, though, is he knows no other way but to dive in headfirst. “First of all, it was to prove that we could do it,” the Bismarck native says, considering what was once a lack of experience in an unknown industry along with the “success” handicap naysayers attach to the oil boom. “I like to create things, and I take pride in what we do. Plus, I want my kids to move back here,” he says. Whether moving back or just sampling a restaurant under new ownership, walking out before 2010 and back in through Peacock’s wooden door after its renovation would cause even the least impressed to take notice. “Microwaves. Just a wall of microwaves. They were literally everywhere,” Zimmerman recalls. “All you could see was the mid-section of the cooks and hear the pinging noise of the timers.” Yet that wasn’t always the story. Upright in 1933 as an extension of the historical Patterson building, “the Peacock” got into its fair share of trouble by mere association. More than half a century later, its cracks mirror the ups and downs of a state that weathered many an economic storm. Its walls were battered but still standing. “As many restaurants do, it had its fair share of highs and lows,” he says. Condemned, marked for teardown, the building was brought back to life, resurrected in the 1980s. A few years later, it sold and had nine straight years of double-digit decline, leading to Zimmerman’s opportunity. “The first thing we did was get rid of all the microwaves!” Zimmerman says. The second was to focus on beef. Along with new flooring, new lights and the removal of one-too-many peacock paintings came time to explore the beef market. 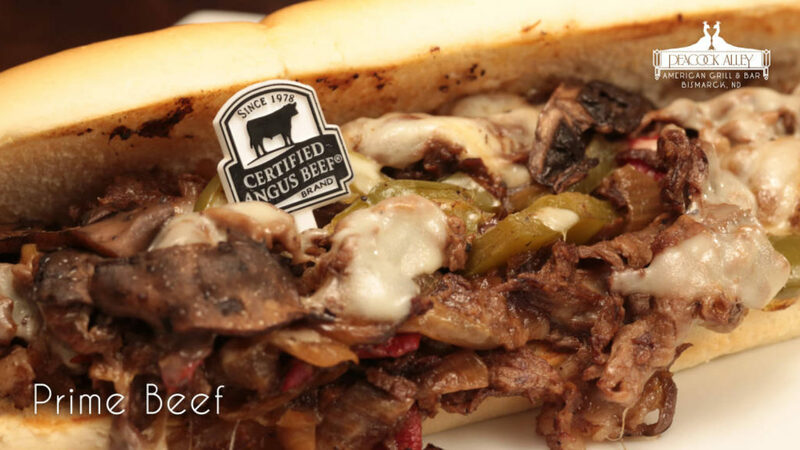 “We researched, experimented and tasted” to land on the Certified Angus Beef® (CAB®) brand familiar to Angus ranchers in the nearby communities. “We saw what CAB could do for the restaurant, which is a lot, and before we knew it, had 15 different cuts on the menu.” Meanwhile, business had quadrupled. Then the phone rang. “It was a few years later on a Friday,” that an owner of a restaurant down the road called, he says. “I knew them from the furniture world, and they said, ‘Would you be interested in buying it? We’re going to close on Monday.’ I thought, ‘What are you talking about? How much do you even want for it?’ ” They flew down on Sunday and within 20 minutes on Monday, the deal was closed. “We shook on it, went back to the restaurant and told the staff,” Zimmerman says. In a town where Peacock Alley represents all things traditional, 40 Steak & Seafood does its own thing. “They’re competitors, but they respect each other,” Zimmerman says of the restaurants’ executive chefs, Dusty Swenningson and Alan Abryzo, respectively. The notion fits the restaurants just as well. For starters, they hold different customer bases: 40, the more adult couples scene, and Peacock, the young entrepreneurs and girls looking for a local night out on the town. Then there’s the ambiance thing. “The Peacock is up-tempo,” he says of the restaurant known for custom martinis, the CAB cowboy ribeye and beckoning a younger demographic. 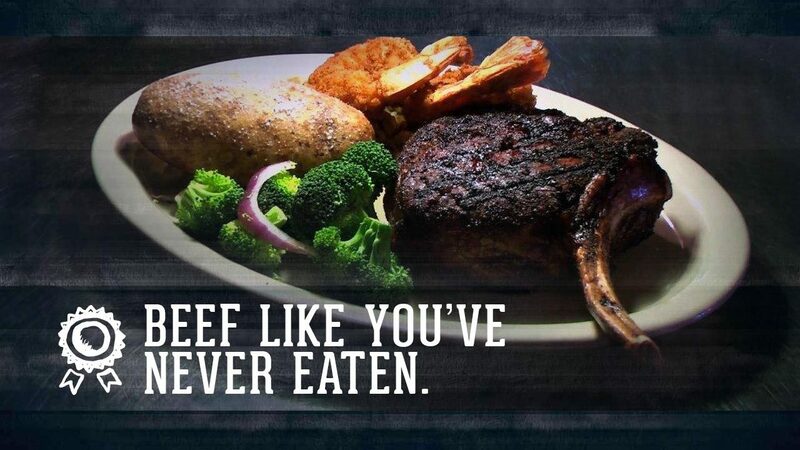 The 40 Steak & Seafood has a different feel. “When you walk into the 40, tension and stress should leave your body,” Zimmerman says. There are no windows. Subtle light from a fireplace in each room demands attention taken away from the outside stresses of the world. At Peacock, it’s often to state congressmen and their staffers for the sake of a business meeting over lunch. Particular congressional hearings are aired live each week from upstairs for patrons to listen in or simply feel a part of something bigger around them. At 40, it’s all about the dry-age cooler, where diners have the opportunity to walk through the kitchen, pick out a CAB steak and watch Chef Alan prepare it for the evening. 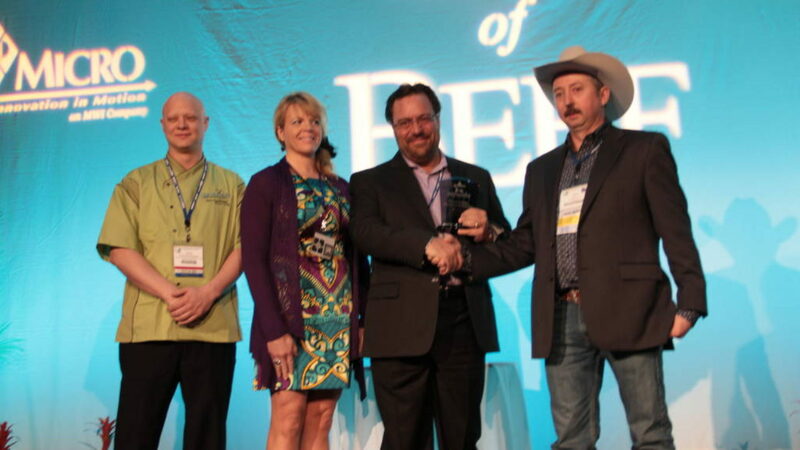 Not long ago, Dale and Melodie, along with Chef Dusty with camera in tow, ventured south for the annual Cattle Industry Convention and National Cattlemen’s Beef Association (NCBA) Trade Show to accept the National Beef Innovator of the Year Award. A first for the state of North Dakota, as well as the region, for creativity and passion in promoting and selling beef, it meant more than words on a plaque or a standing ovation. That was 2013, and aside from a line that sometimes lingers in the foyer of the Peacock now, business is as usual. Zimmerman starts his mornings at the 40 and makes his way to the Peacock just before lunch. He’ll be the one catching orders and joking with the line cooks who are now fully visible behind the grill. “You have to knock their socks off,” Zimmerman says — perhaps a lesson learned in his previous business life that has proven to be just as important in the new one. Next month we’ll introduce you to Chad Ellingson of Saint Anthony, N.D., a distant neighbor and now friend of Zimmerman who spent a day last summer serving CAB alongside chefs Dusty and Alan. Editor’s Note: Laura Conaway is producer communications specialist for Certified Angus Beef LLC. Hey all. Happy New Year and thanks for a wonderful 2015. We are so excited for all that 2016 has in store for us. Come downtown and visit us soon. 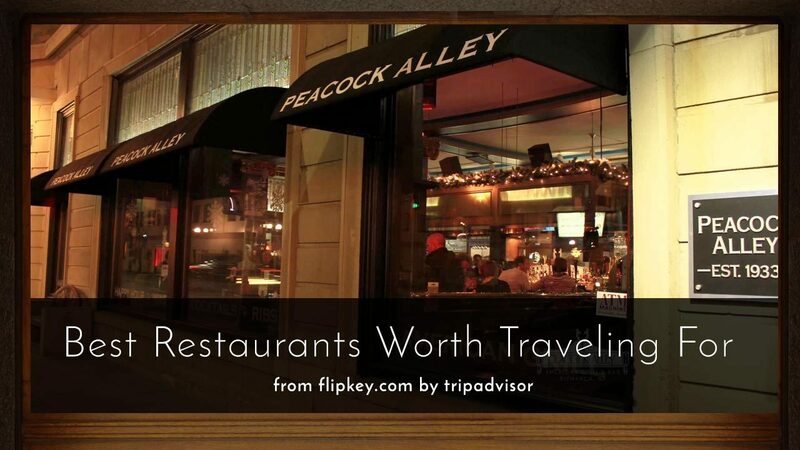 Thanks to FlipKey by Tripadvisor for feeaturing the Peacock Alley in their 2015 blog post: 50 States Series: Best Restaurants Worth Traveling For. In early 2014 we launched our 50 States Series on the FlipKey blog. Throughout the months we’ve touched on a number of subjects – awarding businesses, museums, activities and more with a spot on our lists. We spent time highlighting their attributes, accomplishments, and why they deserve to be a stop on your next vacation. North Dakota is known for its wide open spaces and the vibrant culture of cities such as Fargo and Bismarck. There are also plenty of excellent restaurants within the state serving up various types of cuisines including intricate pastries and cakes, traditional German dishes, Mexican tacos, South Asian curries, and Mediterranean classics. Here are ten of the best. The Peacock Alley has been serving up excellent food and drink in downtown Bismarck since the end of Prohibition in 1933. Located in what was the lobby of the Patterson Hotel that dates back to 1911, the space is rumoured to have been a speakeasy and brothel during Prohibition. Founder Edward Patterson was a prominent figure and former boxer, who brought celebrated fighters such as Gene Tunney, Jack Dempsey and Joe Louis to his hotel, and presidents including Teddy Roosevelt, John F. Kennedy and Lyndon Johnson. The Peacock Alley restaurant is widely regarded as a place to find innovative and high-quality cuisine. Visitors will also find the very best steaks from North Dakota cattle. Not L.A., New York, or Chicago. The winner is from North Dakota. There’s only one award winner each year, and all restaurants across the nation — whether franchise, corporate or independent — are up for it. But Bismarck’s Peacock Alley beat them all to nab the Cattle Industry’s top honor, the National Beef Innovator of the Year. It’s bestowed for creativity and passion in promoting and selling beef. 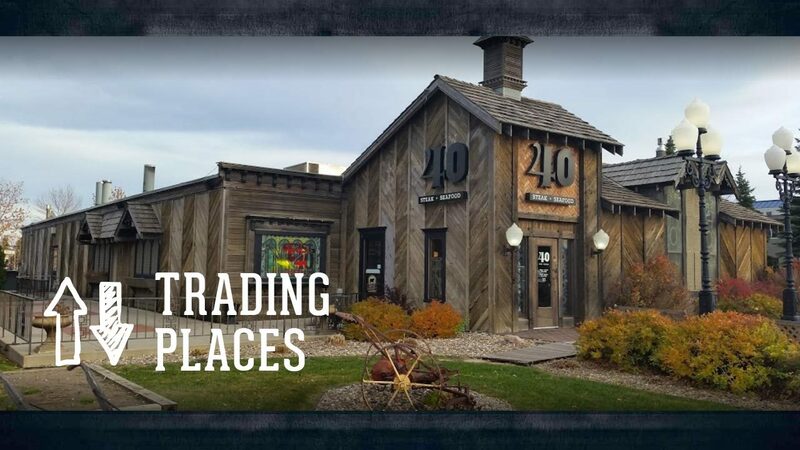 “And to see the look on their faces when a place from North Dakota won, I mean they gave us a standing ovation,” said Dale Zimmerman, Owner of Peacock Alley in Bismarck. And patrons are responding to the restaurant’s commitment to beef. Peacock Alley says business is up 154% over the previous two years. Peacock Alley was nominated for the award by the Ohio Beef Council, and ultimately selected by farmers and ranchers from across the U.S. The restaurant received their award last week at the 115th Annual Cattle Industry Convention in Tampa, Florida. Twenty-six ounces of tender, juicy, fall-off-the-bone, melt-in-your-mouth Cowboy Steak generously crusted with a 14-spice blend and served with an ice cold beer fresh from the tap. Enough said. Until next time folks! HA! Just kidding. 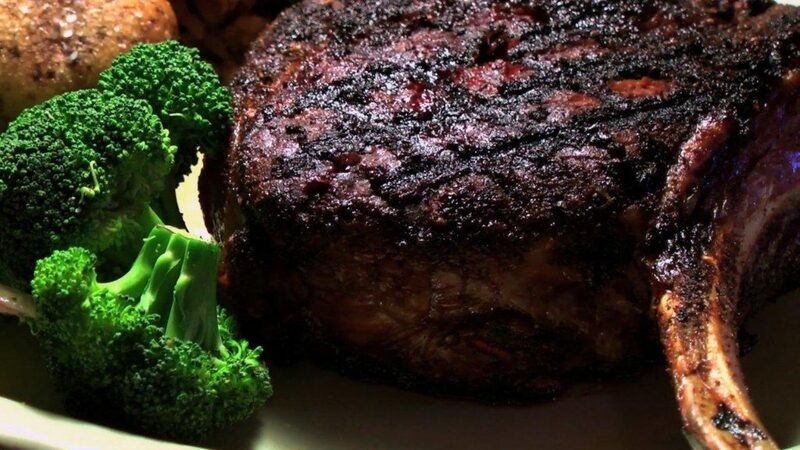 This hunk of mouthwatering meat is a Peacock Alley American Grill & Bar specialty. It’s the most popular dish in the 80-year-old Bismarck restaurant, and it’s not even listed on the menu. The novelty steak is one of many beef dishes crafted by Head Chef Dustin Swenningson, otherwise known as Chef Dusty, who adds a North Dakota twist to the traditional steak dinner. Sure, he and restaurant owner Dale Zimmerman offer all the customary steakhouse items, but with an added flavor only found at Peacock Alley…. 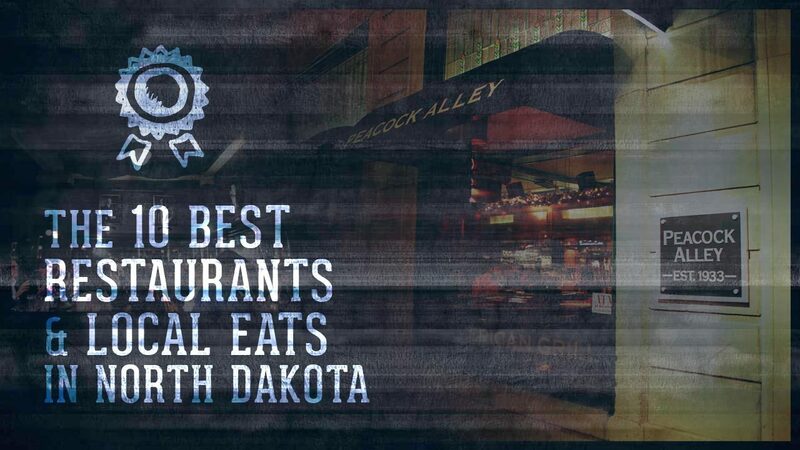 North Dakota and South Dakota have a lot of great steak places, but the next time I’m in Bismarck I’m going to try Peacock Alley. How could I have not eaten at Peacock Alley yet? Peacock Alley American Grill and Bar, Bismarck, N.D., was named the Beef Innovator of the Year at the 2013 Cattle Industry Convention. This is a big deal. It’s a national award given to only one restaurant in the nation each year. The award recognizes a restaurant that does the best job innovating its menu and growing its business with beef. “Having a North Dakota restaurant win the Beef Innovator of the Year award is a very big deal, particularly when you consider that Peacock Alley competed against restaurants in major metropolitan areas from Los Angeles to Chicago to New York,” says Clark Hensler, North Dakota Beef Commission chairman. Peacock Alley unveils at least five new beef dishes every month and it offers several unique beef dishes such hanger or butcher’s steak, a very tender cut of beef; Teres Major, a medallion-sized section of the sirloin that only specialized butchers can extract; and the baseball and cowboy cut steaks, which are 26-ounce, bone-in ribeyes. In the two years since creating a new beef-focused menu, Peacock Alley’s sales ahve increased by 102%.. The Peacock Alley Restaurant in Bismarck, North Dakota has a few tricks up their sleeve. And those tricks are named bacon. My friend and I went there before a concert, and because of its location in downtown Bismarck (same as the concert), we figured it was a sign. And also, darn convenient. You get the ambiance of a kind of classic old bar and restaurant wrapped up in the history of the hotel (which my father often reminds me that he stayed in on a senior trip). There is a creepy old man mannequin holding a tray of mints which, I’m fairly certain, is going to be the first thing to come to life during a zombie apocalypse, but we’re here to talk about other things. 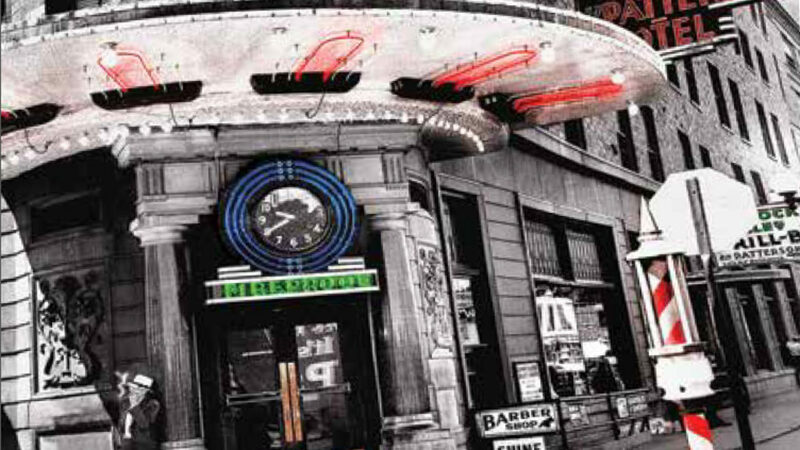 The Peacock is known for its martinis and its Angus burgers. I’m not a big drinker, but I do like a burger, so I figured I had at least a 50 percent chance of hitting the highlights. They seem to change their menu fairly frequently; I was intent on getting a particular flatbread dish that was no longer on the menu. So, we each ordered a house salad, and decided to share one burger due to their size, which is roughly one cow per burger. We also ordered the Caramel Bacon Fritters, because what they heck was that? The appetizer menu described them as stuffed bacon fritters drizzled with Ghirardelli caramel sauce. Our salads came out first, and it was quite a bit more than I expected from a simple house salad. It came with a sweet bun and whipped butter, which was delicious and frankly, I could have stopped eating then. But, you know, when you’re out on the town you might as well put on ten pounds. The caramel bacon fritters were next and yes. You should order these the next time you go to the Peacock Alley. 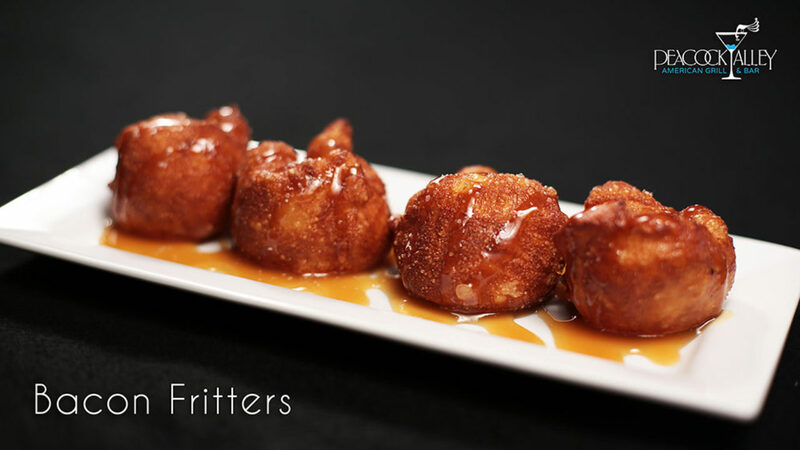 The fritter dough is sweet, and it’s filled with finely chopped bacon, drizzled with caramel and sprinkles of salt. What you have is a lovely combination of sweet and salty, soft and crunchy. Do share this with others at your table; it’s pretty sweet and I can’t imagine you won’t spend some time in the bathroom if you eat the whole thing yourself. It’s very rich. Next up was the burger and we pretty much inhaled it, so I have a photo of the plate it was on for about five seconds. I don’t know what it is they do with their burgers, but they are edged in something that tastes spectacular. Pepper and salt, sure, but something else. People always say things about “best burger ever”, but unless you have questionable meat with bone bits and gristle, it’s hard to ruin a burger. The burger here is quite possibly laced with narcotics*, for all I know, because it was so delicious I kept eating far beyond my capacity to hold food. I’ve always been a fan of the french fries at Peacock Alley; I don’t know if they have some sort of sorcery in the kitchen, or if they’re positively medieval on changing the fat in the fryer, but I remember my short order cook days and getting fries this light and crispy isn’t always a given. So all in all, the Peacock Alley turned us into absolute gluttons. The staff was friendly. We ate in the bar (I’m a big fan of the high top table). Would we recommend it to our friends? Heck yes. Wear elastic-waisted pants. *There are no narcotics in the food, people. It’s a metaphor. source: Vittles in the Fast Lane. If this is an odd-numbered year, it means the North Dakota Legislature is in session. For the past 80 years – and 40 legislative sessions – a downtown Bismarck restaurant and bar has been the unofficial headquarters for after-hours gatherings of legislators and lobbyists. The past few months have been no exception for the Peacock Alley American Grill and Bar. The current Capitol building was occupied in January 1935, and while state officials worked out of the Patterson, the legislature convened for two sessions at the World War Memorial Building, one block to the east.